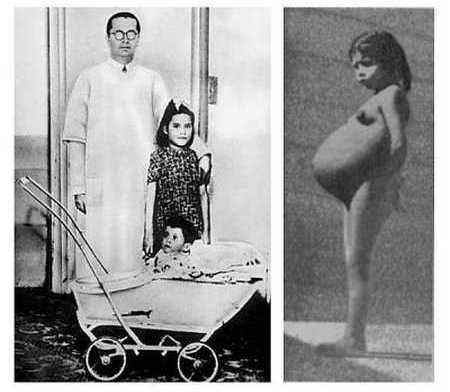 Lina Medina, is the youngest confirmed mother in medical history, who was born on September 27, 1933 in the small village of Paurange and was only 5 years 8 months old to give birth to her child on May 14, 1939. To be specific, Lina Medina's parents thought their 5-year-old daughter had a huge abdominal tumor and when her father carried her to a hospital. However, it turned out that she was pregnant, and the baby weighed 2.7 kg. Rumaisa Rahman was born on 19th September 2004 with 10 inches long and 8.6 ounces heavy. His mother Mahajabeen Sheikh was pregnant only in 25 weeks and six days. Rumaisa Rahman, the world's tiniest baby, was born at Loyola University Medical Center in Maywood . He weights less than a can of beer. 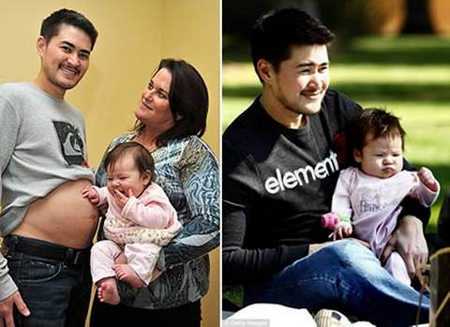 Thomas Beatie was born as a woman before she went through a surgery to be a man ten years ago. When his 34-year-old wife Nancy could not conceive due to hysterectomy, Thomas Beatie decided that he had baby himself through artificial insemination. Hence Thomas Beatie became the first male mother on Earth. Nadya Denise Doud-Suleman Gutierrez gets international attention when giving birth to 8 babies in one single time in January 2009. All babies were conceived via in-vitro fertilization. The unemployed single mother already has six young children at home also by in-vitro fertilization. Nadya Denise Doud-Suleman Gutierrez is known as the "Octomom". 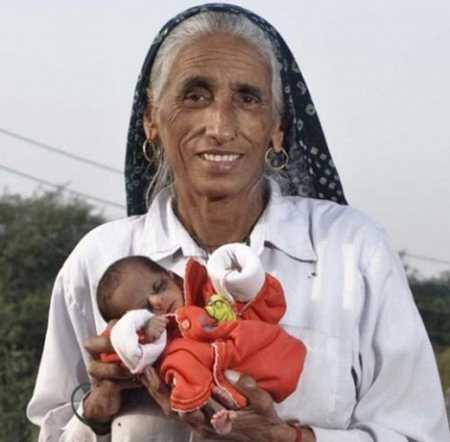 Indian Rajo Devi Lohan gave birth to her first child in November 2008 when she was at the age of 70. The child is the magic thing for Rajo Devi Lohan after more than 40 years waiting. Melek, 24, becomes a mother of nine-months-old Semih. Despite of having no legs and only one arm, she still successfully had baby thanks to caesarean section. Melek and Mehmet are enjoying their endless happiness with their son Semih. 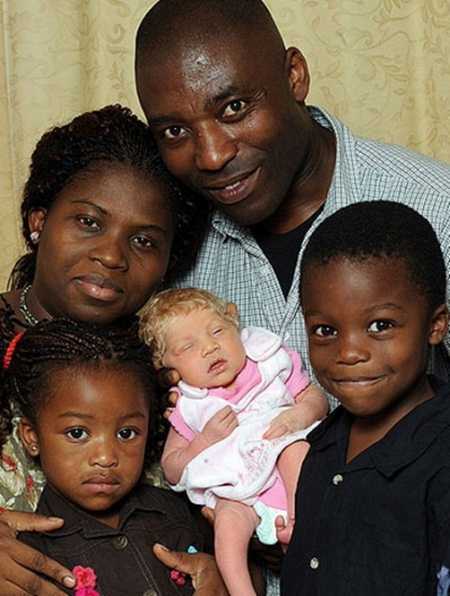 Nigerian couple Ben and Angela Ihegboro gave birth to a fair skinned, blue-eyed, blonde-haired baby girl which surprised all experts. The baby is not an albino. The scientific test also dispels any rumor of wife's unfaithfulness. The baby is named Nmachi – meaning "Beauty of God". 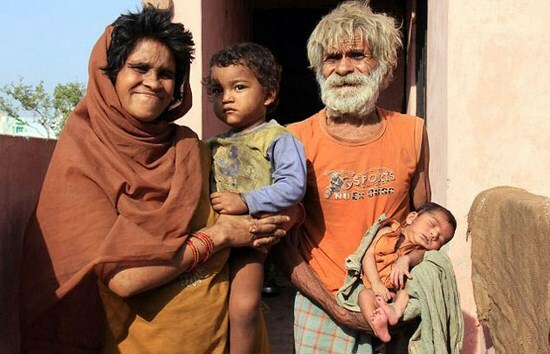 The 96 year old Ramjit Raghav, whose wife Shakuntala, 54, gave birth to 2 sons in just 2 years. Ramjit Raghav became the world's oldest father when his first son Karamjit was born at the age of 94. After 2 years, at 96, he become world's oldest father to have a second child in 2 years.